On December 22 in K. Tynystanov Gathering Hall the opening ceremony of the Manas ART Club took place. 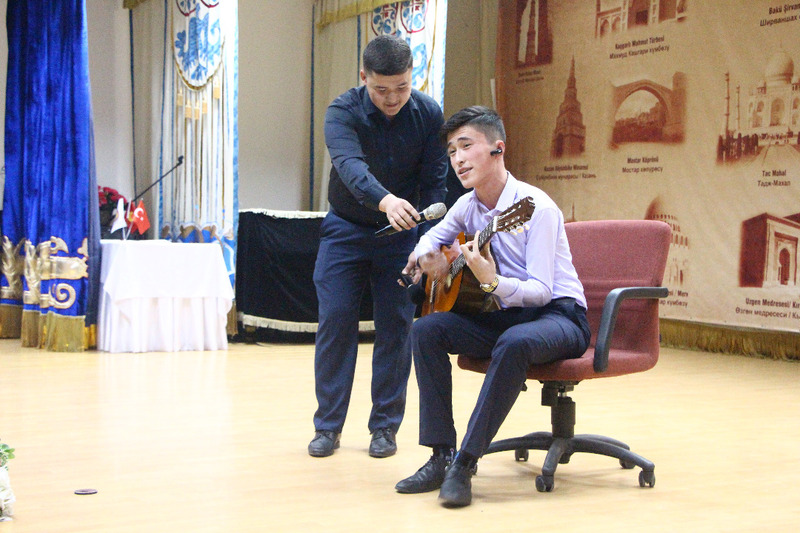 The opening ceremony of the club was divided into two parts. 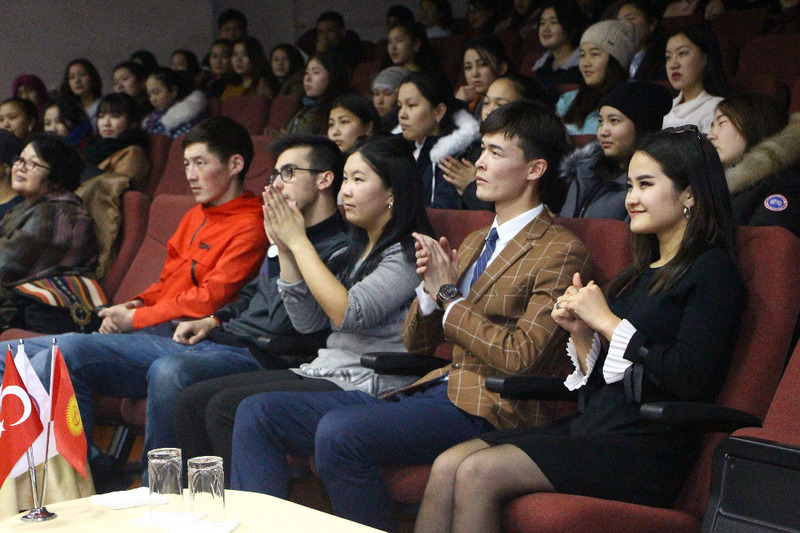 During the first part a concert program was held. 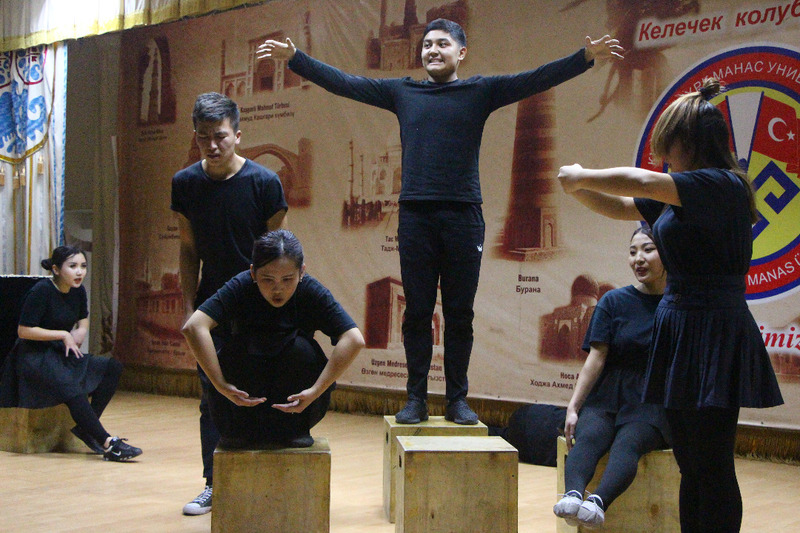 At the concert the students of the Faculty of Arts performed a play, accompanied by songs and dance. 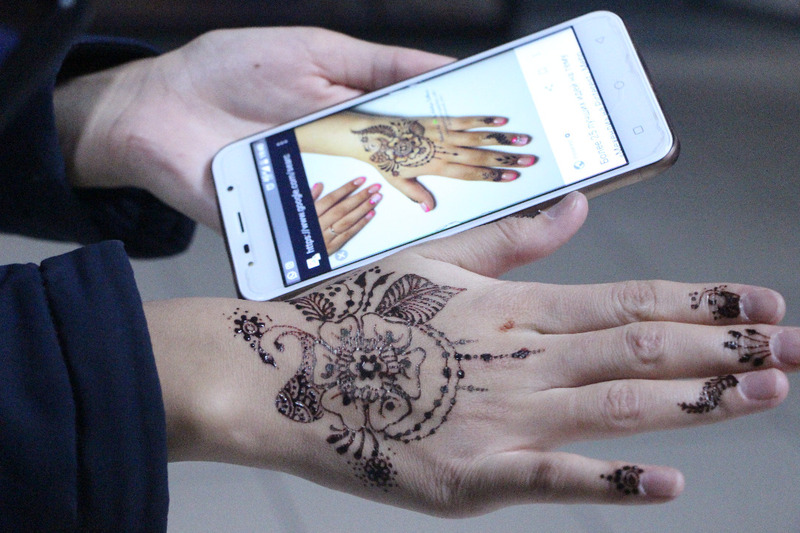 During the second part girls had a chance to have mehndi drawn on their wrists for free. Moreover, the works of the students of the Department of Graphic Design were displayed. The goal of the club is to promote students’ interest in art and spread works of undiscovered talents. 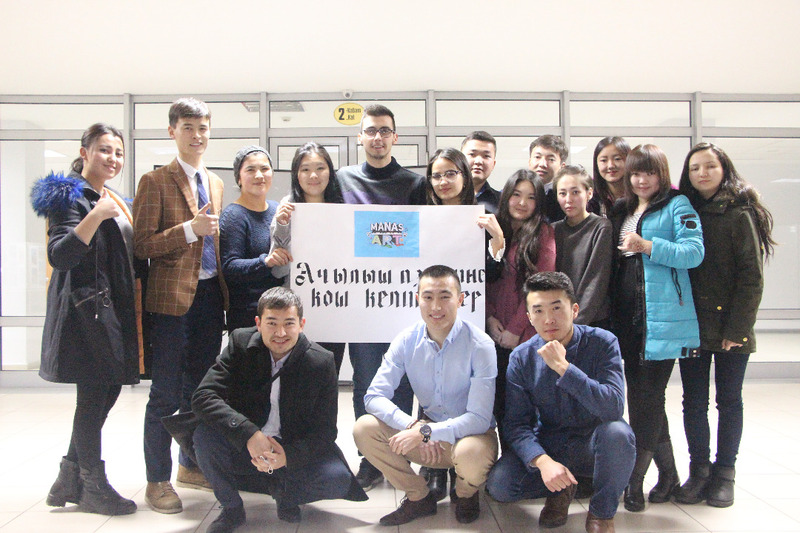 At present the Manas ART Club is a team of 10 students that are being active under the leadership of a 2nd year student of the Faculty of Arts, Nursultan Abdimitalip uulu.